Bangladesh government committee on Public Purhase approved the proposal to appoint Russian state regulatory Rostekhnadzor as security and supervision consultant of the Rooppur NPP project, local media report. The proposal came from the Science and Technology Ministry of Bangladesh. 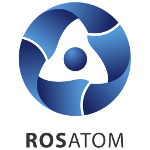 According to the document Rostekhnadzor will provide consulting services for 11 years. The cost of agreement is 13,54 Taka (160,19 mln. USD). The committee was chaired by finance minister, AMA Muhith. Rostekhnadzor (Federal Environmental, Industrial and Nuclear Supervision Service) is a federal executive body exercising functions of elaboration and implementation of the state policy and regulatory/legal control in the established sphere of activities, and in the sphere of industrial and nuclear supervision, functions of control and supervision in the sphere of safe conduct of work connected with the use of subsoil, industrial safety, safety in atomic energy uses (except activities on development, manufacture, testing, operation and disposal of nuclear weapon and military nuclear power installations), safety of electrical and thermal installations and networks (except household installations and networks), safety of hydraulic engineering structures (except navigable hydraulic engineering structures and those under supervision of institutions of local government), safety of production, storage and application of industrial explosives, and special functions in the field of state safety in the aforementioned sphere. The first nuclear power plant in Bangladesh is based on the same design that is used for Novovoronezh II in Russia and will have VVER-1200 reactors. This Generation III+ design is fully compliant with international safety standards. The Rooppur project follows the defense-in-depth concept that provides for multiple defense levels and mitigation of accidents and human error, thus securing environmental safety. The containment of Russian reactors is able to withstand severe natural disasters, which is extremely important for a country facing regular hurricanes and floods.